The Battle of Sainte-Foy, sometimes called the Battle of Quebec, was fought on April 28, 1760 in Quebec City, Quebec, Canada during the Seven Years' War (called the French and Indian War in the United States). 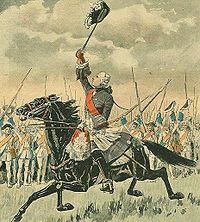 It was a victory for the French under the Chevalier de Lévis over the British army under General Murray. 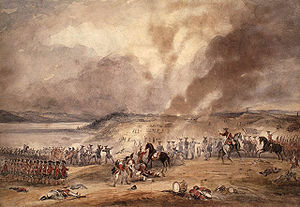 When compared to the Battle of the Plains of Abraham of the previous September, this battle proved to be a much bloodier affair in terms of the total number of casualties incurred by both sides - 833 French casualties to 1,124 British casualties. It was the last French victory of the French and Indian War.